The Seahawks will still face the Oakland Raiders in London this season, but on Monday it was announced they’ll be playing at a different venue. Tottenham Hotspur announced that, due to “issues with the critical safety systems,” construction of their new stadium has been delayed. 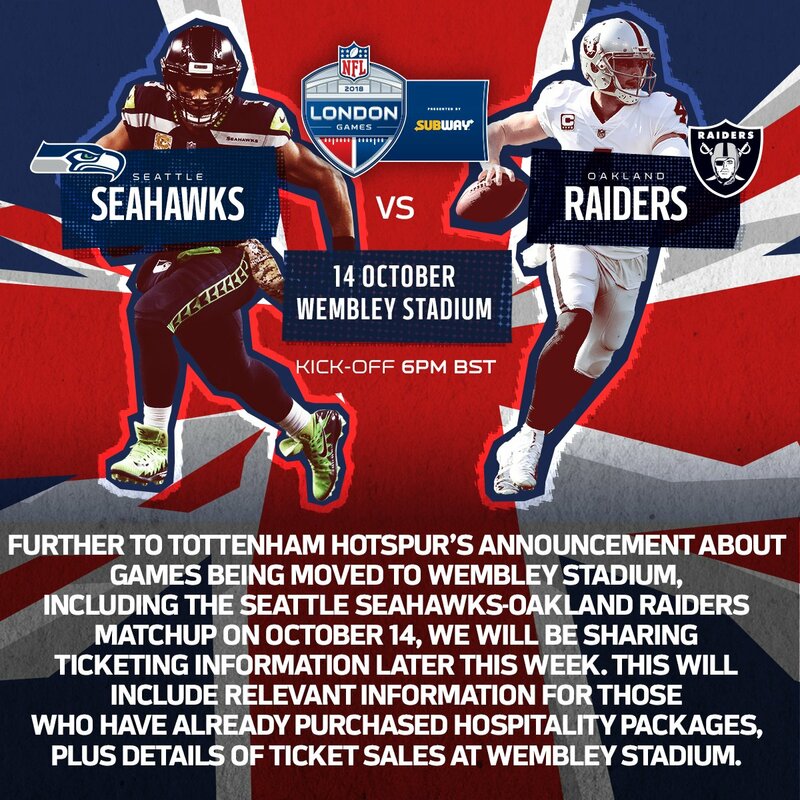 As a result, Seattle’s Week 6 game against the Raiders, as well as two of Tottenham’s Premier League home games, have been moved to Wembley Stadium. Wembley has been home to past NFL games in London, and will also host two other NFL games being played there this season, but the Seahawks and Raiders were supposed to be the first teams to play in Tottenham’s new stadium, which is being built to include several NFL-specific features. Hoping to use a new stadium with a short-timeline to build always has me skeptical. Big reason why I don't think the NHL will have an arena ready by 2020 for the potential NHL team. Bit of a bummer..the new stadium will be better for (American) football. But nothing to be done about it.